We are often disillusioned with how much time we have left. Frequently we hear people complain about just not having enough time, not enough hours in the day. When …then ….Living in the future robs us of all the joys of the present. But these thoughts also keep us very, very busy in our imaginings. 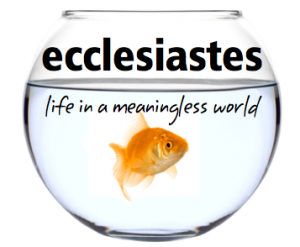 The writer of Ecclesiastes was an old man who confessed that he had wasted much of his long life. He was too old to correct his ways, but it wasn’t too late for the young. He tried to encourage his readers to go for simplicity in food, entertainment and work. He encouraged them to look for joy in the companionship of their friends, a cheerful disposition and a reverence for God. Now in his old age these were the lessons of life that he wanted to pass on. Anxious people tend to live in the future. Listen to yourself and others. If you notice the words “what if” being used frequently, it’s a sure indicator that the person suffers from anxiety. Whatever you’re doing, wherever you are just keep keep reminding yourself to MAKE THE MOST OF THE MOMENT! Previous Previous post: Butterflies in the stomach! Next Next post: Keep moving forward!